Do you ever wonder what those lights on your dashboard means when it illuminates? Here’s a list of what you should do if any of the lights illuminate while you’re driving! If this Battery Warning lightens up, it indicates voltage level is abnormal and the vehicle’s charging system is not functioning properly. Check battery terminals, alternator belt and battery condition. Temperature has exceeded normal limits, coolant levels, fan operation, radiator cap and coolant leaks should be checked right away. Oil pressures should be looked at right away if the Oil Pressure Warning light stays illuminated. The ABS Warning light, also known as the anti-lock braking system is highlighted when there is an issue with the ABS braking system. This will not result in losing your brakes, but it needs professional attention to resolve the issue. Note: the icon will come on during ignition of the vehicle and switches off shortly after. The Engine Management Light illuminates when the vehicle detects an issue with the engine management system that is normally related to emission or running problems. When the engine management light appears, your vehicle needs immediate professional attention. The vehicle’s traction control/anti-skid or electronic stability system is in use, usually indicating that conditions are slippery. Transmission is operating at higher temperatures than recommended, check transmission fluid and engine coolant levels. This light usually indicates an electrical problem that is controlled by the Body Control Module (BCM). There may be a traction control problem or a communication issue between modules. Check all lights: head lights, turning signals, brake lights and hazard lights. The Lamp Out light signifies that there is an exterior light on the vehicle that is not working properly. This light indicates that there is a problem with the vehicle’s traction control and/or anti-skid or electronic stability system. This light warns the driver that the air pressures in one of the tires are incorrect. Pull into a gas station and have them checked. The Washer Fluid Reminder indicates that washer fluid is low and it’s time to refill the reservoirs. 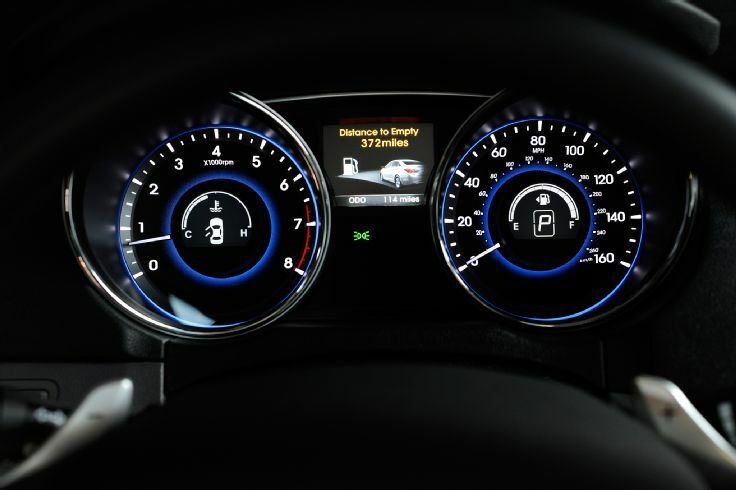 Have any questions about the warning lights on your dashboard? Visit us at one of our six car dealerships around the Lower Mainland to book a service appointment or speak to one of our knowledgeable Service Advisors today!